At Wainger Group, we are relentless about achieving results that propel your organization forward, taking you to where your clients, customers, associates, investors and supporters understand your value. CREW DC engaged Wainger Group to facilitate a strategic planning process. Wainger Group did a fantastic job facilitating several planning sessions with our Board of Directors and Committees Chairs giving us a clarity and shared vision that will move us forward. I have been through many of these sessions before, but the difference about the process with Wainger Group is that we ended with a concrete and actionable plan that we have already begun to implement and that positions us for growth over the next few years. Consistently providing clear and concise direction to our project teams and marketing staff, Liz’s gift is extracting the big idea. Although a consultant, Wainger Group has become fully integrated into our office and our culture and is a valuable member of our team. Wainger Group’s custom approach provided our teams with, not only useful tips and tricks, but real-life examples that allowed everyone to apply their learning immediately. Their training was energetic and fun…and the principles can be applied in all areas of communications. Liz and her team do not take a cookie cutter approach. They draw on their experiences and broad understanding of the communications and media industry to personalize both the engagement and the results. We benefited from Wainger Group’s guidance during a period of organizational transition and change, and their objective analysis continues to serve as a resource as we build our communications and marketing department. Liz is one of those trusted, insightful people whom you can trust to listen to your needs, come up with creative solutions and then just seriously over deliver. …[for] a new corporate training program with a significant communications and presentations module, she lit up the room and managed to engage every single participant (including those who admitted they were terrified of the public speaking element!). By the end of the session, she not only had them laughing and happily participating, but also created an electric atmosphere of support which bonded the class. She totally exceeded my expectations, as both a presenter and a partner. Wainger Group has been an invaluable communications partner for more than a decade. Liz (Wainger) is smart, strategic and has an intuitive ability to shape a story for the press. She has had a discernible impact on the CBRE brand in the greater Washington, D.C., and Florida markets. Wainger Group is, bar none, the best in the business when it comes to communications, media strategy, messaging, and outreach…[and] extraordinarily thoughtful in their approach to each engagement. I would highly recommend them to anyone. Liz Wainger and her colleagues consistently bring smart, strategic communications thinking to any challenge. They are focused and make the best use of resources when it comes to tapping new audiences that may be valuable allies. [Wainger Group] is extremely collaborative and responsive, and is always looking for ways that we can enhance our communications impact. Liz Wainger is amazing. She facilitated a day-long retreat for our senior staff that enabled us to move from planning to effective and powerful implantation of our strategic plan. She connected with a large (and largely introverted) group of researchers, keeping our energy level and productivity high for the entire day… We had a facilitator who cared about our mission and really “got” us as a group. I would turn to her again in a heartbeat. Wainger Group proved incisive in building consensus and managing discord among dramatically different perspectives and personalities as well as sharply competing interests. I am amazed and grateful for how they built our plan for the future. Wainger Group was instrumental in making our company retreat a great success. From the start, you listened to us and understood what we needed to accomplish; and with that, you developed a highly effective retreat program which had us all participating in a positive way throughout the day. Most importantly, we were able to reconfirm our company values and set a vision and strategy which will serve us well in the years to come. 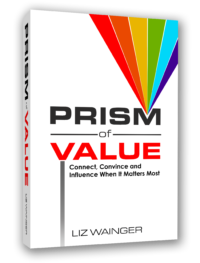 Liz Wainger brought deep insights on one of the classic marketing challenges – gaining earned media. In the age of digital information and content marketing, she offers new approaches and ideas to develop more successful pitches and create visibility for your firm. Liz is an expert, and she is first on my list to call for PR and communications consulting. Wainger Group thoughtfully evaluated the Chapter’s value proposition and connected key stakeholders to develop a multi-year vision, and produce a communications strategy and a detailed plan for achieving actionable outcomes. We now have a common language and an easy-to-follow communications plan that will support our efforts to continue to grow our membership and our influence. Wainger Group was instrumental in designing and executing an effective and inclusive (strategic planning) process to gather thoughtful input from our staff for the first draft of the plan…Within a few months, we had a full strategic plan that was enthusiastically passed by our Board of Directors and embraced by our full staff. It is truly a living, breathing document–which everyone feels they own. We are very grateful to Wainger Group for all of their guidance and support. I would recommend Liz and her group to any nonprofit seeking to develop a strategic plan that has meaning for every part of the organization. We chose Wainger Group because we wanted more than just a message platform that would end up in a drawer—we wanted and needed a real conversation with our staff, stakeholders and community that would articulate our vision for the future… Liz and her staff brought us creative ways to think through our hopes and helped us understand what messaging really means. We truly benefited from Wainger Group’s experience and professionalism. The training sessions were engaging, interactive…and the collaboration was one of the keys to success. In fact, one SVP said the “How to Write Better Emails” workshop was the best training he’d ever had for his team. Your presentation at the AIA conference in Orlando was well prepared and insightful. I was impressed with the content and the way you grounded the information with some relevant case studies. Using examples and stories is a great teaching method and helped your points to resonate. I look forward to sharing your ideas with team members in my firm… Thanks for your session.